A man is in custody after after a man died on a boat 70 miles off the Marco Island Coast Monday. Police confirm that Casey Hickok, 32, is the person in custody and family has confirmed the man who died is his father, Robert Hickok. The Coast Guard responded to the report of an injured fishermen around 7:15 a.m. The call came in from a crew member on a 34-foot fishing boat saying another crew member suffered a head injury. “This is just a horrendous, horrendous tragedy at a minimum,” said Maritime Trial Attorney Jack Hickey. Hickey says since this happened 70-odd miles off of Marco Island, this is federal territory, meaning the US State Attorney’s Office could prosecute crime. “The US Attorney’s Office wins something, like, 97 percent of cases they take to trial. So they usually only take to trial cases with a very, very good chance of winning,” Hickey said. 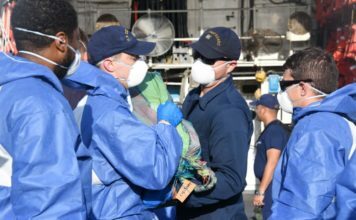 Coast Guard Watchstanders dispatched an MH-60 Jayhawk helicopter aircrew from Clearwater and a 210-foot Coast Guard Cutter to the location. The MH-60 aircrew arrived on scene and lowered a rescue swimmer. The rescue swimmer reported the injured man to be unresponsive and appeared to be deceased. Police confirm that Casey Hickok, 32, is in custody. Casey Hickok is facing second degree murder charge. The cutter Decisive crew and a 45-foot Response Boat-Medium crew from Coast Guard Station Fort Myers Beach escorted the fishing vessel to station Fort Myers Beach where Marine Casualty Investigating Officers from Sector St. Petersburg conducted a marine casualty inspection and were assisted by Coast Guard Investigative Services, Lee County Sheriff’s Office and the Medical Examiner’s Office. According to the Collier County Sheriff’s Office, Casey was just released from jail at the beginning of the month. He’s been arrested by CCSO deputies 10 times since 2009. 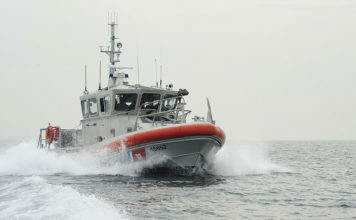 The cause of the incident is under investigation by the US Coast Guard.